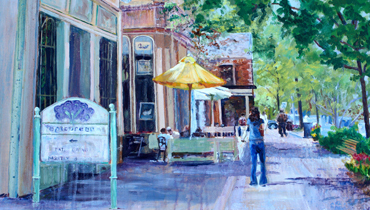 My art work covers a range of subject matter with my most favourite being landscapes. 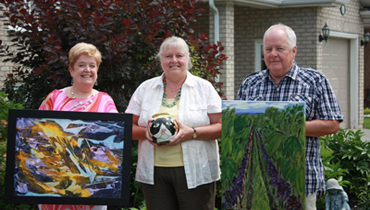 In addition to planning art shows, Pat enjoys exhibiting at various venus across Niagara. Plan to stop in for a visit! Feel free to email if you see a painting that you link in my gallery or shop in my Etsy store. 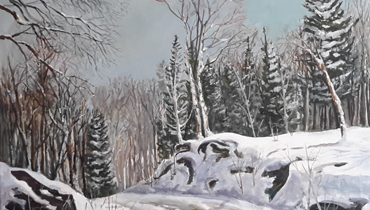 I like depicting places I have been in Canada with a particular emphasis on the Niagara Peninsula where I live, other parts Ontario and the eastern provinces of Canada. The greatest influence on my art, other than my fellow artists is the rhythm, harmony, textures, sounds, movement and colour of my surroundings.I strive to create something that is intrinsically pleasing to me and I want to share this very intimate experience with others. I make art to satisfy an inner instinct, to communicate with my viewers in a way that supersedes what mere language can describe.